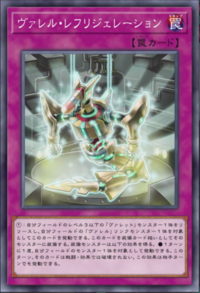 Main card page: "Borrel Cooling"
Tribute 1 Level 3 or lower "Rokket" monster, then target 1 "Borrel" Link Monster you control; equip this card to it. If this card is equipped to a monster by this effect, the equipped monster gains this effect. This page was last edited on 16 October 2018, at 03:55.